Helene & Theodore Wunsch were the first generation to live on the family farm. They immigrated from Germany and bought the farm in June of 1848. They bought the land from a serviceman who had been given the land for his service in the army. They built a wood cabin as the first house on the property and started farming on the shores of lake Michigan. Later they built a cream city brick house around the wood cabin. Laura & Otto Wunsch were the second generation to live on the family farm. They raised seven boys and sold milk and cheese. Because they had such a large family, they added onto the brick farmhouse that is still standing today. Otto and his sons built a dairy barn in 1900 for 65 guernsey cows (state averge at the time was about 30). He and his sons milked them all by hand. They also had a cheese factory because guernseys are high in butter fat, which is used to make cheese. Their son Hugo took over the farm in the next generation. Ella & Hugo Wunsch were the third generation to live on the family farm. They raised cows and sheep and grew thousands of apples in their orchards each year. They sold apples and they also made cider every weekend with a cider press. The family still makes cider today, using a preserved cider press handed down through the years from the 1930's. Hugo often grafted several different types of apples onto the same tree. Hugo was a forward thinker, and he was the first farmer in the area to put in a fuel oil generator that powered a 12 cell alkaline battery pack that was used to run a powered milking pump. This way he did not need to milk all his cows by hand any longer. Ella got another generator in 1915 to run her washing machine. Doris & Harvey Wunsch were the fourth generation to live on the family farm. They raised cows and operated a chicken hatchery. They hatched 250,000 chicks each year and collected over 5,000 eggs daily. The current Bed & Breakfast building is the former chicken hatchery. There were incubators downstairs, an office and a store in the reception area, and storage upstairs. They continued to run the orchard, milk cows, and run the hatchery. There were approximately 10,000 chickens in 13 barns at any given time. Joan and Warren are the fifth generation to live and work on the family farm. They built and managed a quality dairy herd Sunnyshores Registered Holsteins from 1975 to 1998. Joan makes delicious jams, jellies, and desserts for the Bed and Breakfast from the farm's fresh orchard produce including apples, pears, raspberries, cherries, and blueberries. Warren was the designer of the onsite golf course and is the head groundskeeper of the course today. Currently, Warren prunes and cares for the 80 dwarf apples trees in our orchard and works with Nate on farm projects. Mary and Nate currently operate the farm with Mary's parents, Warren and Joan. Mary & Nate renovated the former chicken hatchery into the current Bed & Breakfast, which opened in 2009. In 2014, they started Lake Orchard Farm Aquaponics, harvesting their first lettuce and fish in late 2015. 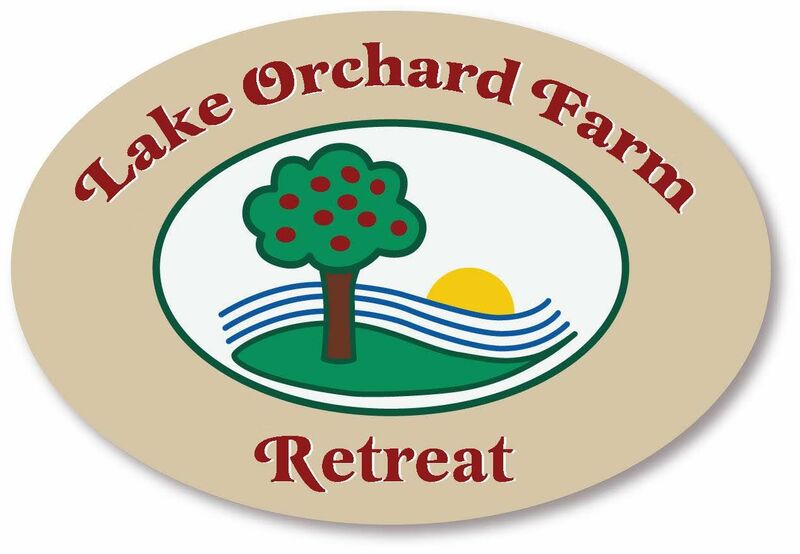 Guest of Lake Orchard Farm may arrange to take a tour of the Aquaponics facility by appointment. In 2017, Lake Orchard Farm's event barn opens for weddings on site. During any stay with us, you might be greeted by the farm's friendly golden retriever, Daisy. Mary and Nate have two children, Marcus and Juliet, who they hope will be the seventh generation on the family farm!